Accidents can happen to even the most experienced captain. Protecting yourself and your customers through proper insurance coverage is the responsibility of every professional fishing guide. 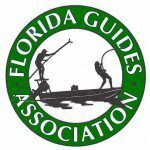 The Florida Guides Association has teamed with Charter Lakes Marine Insurance to provide FGA members with an insurance policy that offers very broad protection at a low group rate. Physical Damage coverage for your boat, motor(s) and boat equipment is written on an Agreed Value Basis. Partial losses are adjusted on a Replacement Cost Basis. Protection & Indemnity (liability) protects you from bodily injury and property damage liabilities. P&I is the broadest form of passenger vessel liability coverage available. This is a combined single limit policy written on an occurrence basis. The policy includes Pollution Liability, USL&HC and Replacement Vessel liability Coverage. Various limits are available from $ 50,000 to $ 1,000,000 and higher. Passenger Medical Payments are included at a $ 10,000 limit. Coverage is written on a per Person, per occurrence basis. Uninsured Boater coverage is included at a $ 10,000 per occurrence limit. Personal Property is included at a $ 2,500.00 per occurrence limit. This includes clothing, fishing tackle and personal property that belongs to you, your clients or crew. Our policy covers your fishing tackle when it on your boat, in your vehicle or stored at your home or storage facility. Higher limits are available. Trailer Coverage provides physical damage coverage for your trailer. The policy also provides liability coverage when launching and hauling from the water. Towing and Emergency Assistance included at a $ 500.00 per occurrence limit. This includes towing your boat to the nearest repair facility, delivery of gas, oil or battery and Trailer Road repair service. Preferred Risk Premium Discounts and coverage benefits for FGA members that result in substantial savings. Superior Customer Service. When you have a service request, a boat change or addition or a claim, the customer service your receive from Charter Lakes is second to none. Additional insureds are added to an FGA member policy at no charge. Unlimited Charter Use. When your boat is not being chartered, the policy covers your personal use of the boat. Financial Security. This policy is underwritten by the St Paul Travelers insurance company who is rated A+Superior by A.M.Best. Crew Coverage protects you from liabilities that could arise from your employment of a mate or additional captain. Shoreside Liability will extend liability coverage for you to guide customers to fish from shore or wade fish. Charterers Legal Liability provide liability coverage for you when you book your customers on other non-owned charter vessels. Additional Interests. Many guides book trips through referral sources and are asked to name that referral source as an additional insured on their liability policy. Charter Lakes does not charge a policy fee to FGA members for this service. Replacement Vessel Liability if your boat is laid up due to a covered loss, our policy can extend passenger liability coverage to a replacement boat to keep you in business. Exhibitors Liability Coverage the liability coverage under our policy can be extended to cover your participation in boat or sport shows where you are required to show liability coverage. Second Boat Discounts, you can only operate one boat at a time. If you own two boats, and are the sole operator of both boats, we only charge you once for passenger liability. Peace of mind comes from knowing you and your customers are protected properly. The Fishing Guide Insurance policy endorsed by the FGA provides that high level of protection at a very affordable price. To receive an insurance quote for your business, contact us at 800-879-2248. Or complete a quote request form online.